Have you ever wondered why some people can eat all they want and never gain weight while others exercise and watch what they eat but still can’t shed a pound? The clue may lie partly in your gut microbiome, the complex community of bacteria within the digestive tract that is genetically different in each person. A personalized diet based on your microbiome, genetics, age and activity level is a better way to control your blood glucose (sugar) than cutting carbohydrates and calories, according to research from the Mayo Clinic Center for Individualized Medicine. Glucose is the main source of energy for the body, but too much blood sugar is stored as fat. Managing blood sugar is therefore important to controlling weight and preventing conditions such as diabetes, heart disease and kidney disease. “Our research shows that everyone responds differently to foods. We found that the standard approach of counting carbohydrates and calories alone is not the best approach to managing blood sugar, because it only takes into account characteristics of food. 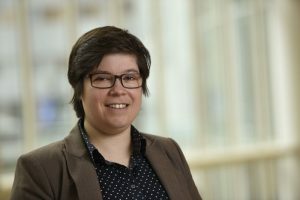 It fails to recognize that each person’s unique lifestyle, demographics and microbiome also play a role,” says Helena Mendes Soares, Ph.D., a scientist within the Mayo Clinic Microbiome Program and the lead author on the study. 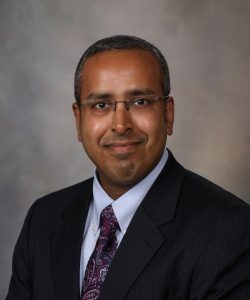 Vivek Iyer, M.D., a critical care physician at Mayo Clinic was looking for scientifically-based tips to help him control his weight. Dr. Iyer was one of 327 people who enrolled in a Mayo Clinic study of glycemic responses to food. For six days, participants had a standard breakfast of bagels and cream cheese and ate what they wanted the rest of the day. They kept a log of their meals, exercise and rest while a glucose monitor tracked blood sugar levels. Each participant submitted a stool sample that was genetically sequenced to learn what foods worked well with their microbiomes. “It helped me understand how my body responds to different foods. After eating the breakfast bagel, my blood sugars shot up and stayed there for several hours. Refined sugars and processed carbohydrates seemed to be the culprits. Other carbohydrates and foods higher in proteins and fats tended to be better for my blood sugar level,” says Dr. Iyer. With this knowledge, Dr. Iyer took a personalized approach to modifying his diet. “I don’t have to give up all carbohydrates. Instead, I’ve cut down on just the carbohydrates that cause my blood sugar to rise, like rice and wheat grains. I am eating more proteins such as eggs and cottage cheese that keep my blood sugar steady. And I’m staying away from sugary breakfast cereals and yogurts. I’ve lost a little bit of weight and I feel more energetic,” he says. Mayo researchers say their model, which accounts for age, lifestyle and genetic differences in each person's microbiome, accurately predicted blood sugar response to food 62 percent of the time. That is far superior to the 40 percent accuracy for predictions based on carbohydrates alone and 32 percent based on calories alone. 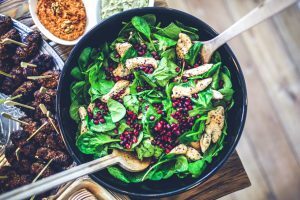 “The clever thing about this approach is that it’s adjusting your diet to your microbiome, rather than trying to change the bacteria in your microbiome – which could take time. 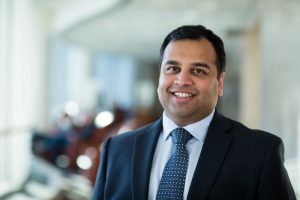 Our model allows you to look at the diet to learn which foods will work best with the microbiome when considering a biological outcome, which in this case was blood glucose,” says Purna Kashyap, M.B.B.S., the Bernard and Edith Waterman co-director of the Center for Individualized Medicine Microbiome Program and an author on the study. Researchers say these findings are the first step toward validating the health benefits of personalized diets. This research confirmed conclusions of a similar study conducted at the Weizmann Institute of Science in Israel. Read the news release on the research published in JAMA Network Open. Register on Center for Individualized Medicine blog and get weekly updates on our new content.